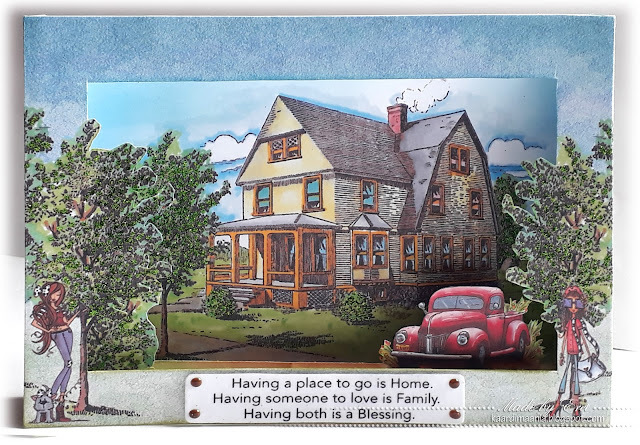 Beautifully colored Vintage Trucks in the country habitat we all love, colored by the artist who creates Fred She Said images, is a versatile masculine set that can be used by any age crafter. Sentiments are courtesy of Sparkle N Sprinkle. The trucks are available with a blue sky scene in PNG and JPG format. They are also available in the PNG format without the sky. Because we offer fine, transparent PNG files in addition to JPG files, you will easily be able to create digital scenes on your word processor, and place the sentiments, exactly where you’d like them to appear, and in the sizes that work for your designs. Coordinate with our other fine digital sets and papers. Combine the digital set with any of our stylish digital paper packs, or use the digital images more traditionally by printing, coloring and layering as you would any of your pretty stamped projects. For the Rubber Stamp version of “I Love Old Trucks”, please click here.